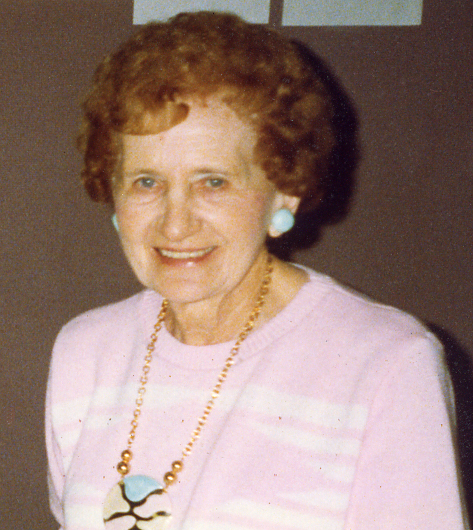 Alice M. (Paa) Smith 89, of Sioux Falls, died Sunday October 28th at Avera McKennan Hospital. Alice was born November 26, 1917 in Sioux Falls,SD to Joe and Marge (Mauer) Paa. She graduated from Cathedral High School. Alice married Charles W. Smith in Sioux Falls, SD, on Oct. 21, 1947. Charles died in 1958. Alice worked at Northwestern Bell from 1937 to 1981. She was a member of the Telephone Pioneers of America . She was a member of St. Joseph's Cathedral and a Cathedral Club. She also was an avid flower arranger and craftsperson. Alice is survived by one Son Charley , Sioux Falls. A sister Marge Johnson, Denver, Co. and numerous nieces and nephews. Mass of Christian Burial will be 10:30 A.M. Friday Nov.2. Visitation will began 4P.M. Thursday Nov. 1. The family will be present from 7P.M. to 8P.M. Alice was preceded in death by her parents, husband, brothers Sonny and Joe Paa, sisters Mary Ann Gould and Dorthy Hartman.